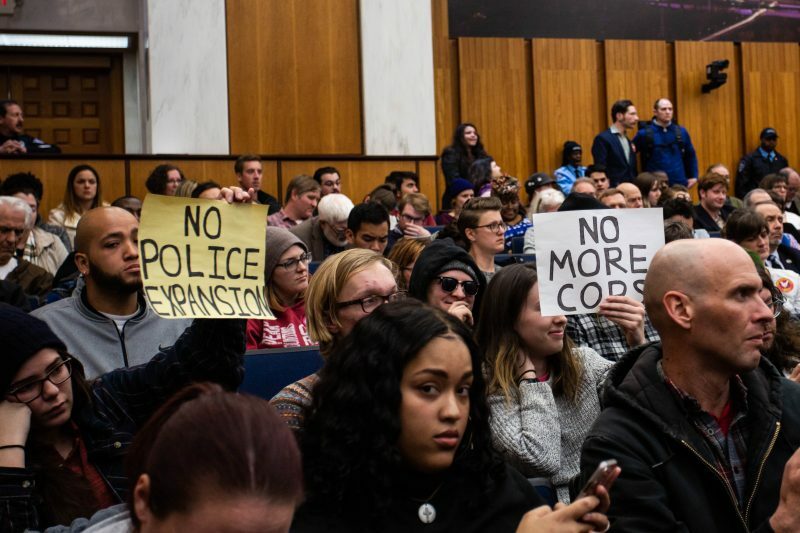 An ordinance approved in a 7-2 vote by the city council at a raucous Monday night meeting will greatly increase the scope of the VCU police department’s jurisdiction in Richmond. The proposal was sponsored by Mayor Levar Stoney and presented at Monday’s council meeting by VCU Police Chief Jon Venuti and Richmond Interim Police Chief William Smith. It will almost double the area where VCU police — who have the same arrest authority as Richmond’s force — can patrol and enforce the law. Council President Cynthia Newbille sent the session into recess as it considered the ordinance Monday after a discussion about racial diversity in VCU’s police force initiated heated back-and-forth. After some laughter from the audience, Trammell suggested those who laughed should leave if they are not homeowners. The remark led to a heated discussion between the councilwoman and attendees. After the argument council called for a brief recess, the council immediately reconvened and approved the measure. 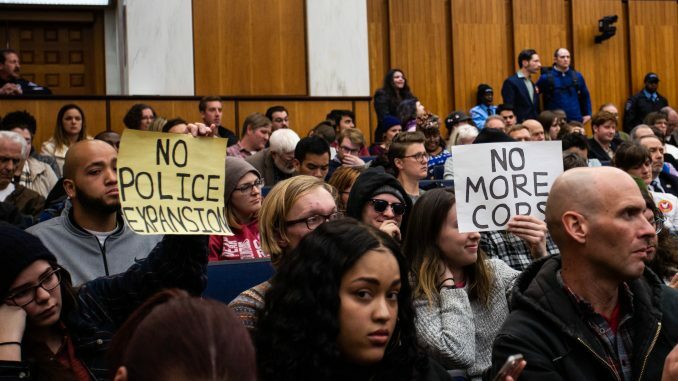 In the preceding moments, Councilman Michael Jones probed Venuti about diversity in his force and on whether VCU Police could adequately police the area if officers did not represent the diversity of the student population. “I believe that the basic tenant of community policing is for the police force to reflect the community it serves,” Jones said. Many students and residents cited concerns about over-policing when they voiced their opposition to the change. Richmond resident Mallory O’Shea said she was concerned about areas that would be surveyed by the Richmond and VCU police forces and the security firm contracted by the school. “It’s an incredible amount of policing and it’s entirely unnecessary,” O’Shea said. The department currently has 99 officers. A department spokesperson told The CT they do not plan to increase the number of officers. The security firm RMC Events, which is contracted to VCU, will not be affected by the expansion.